Anonymous Quote: S.D. Gordon Where man sees but withered leaves, God sees sweet flowers growing. S.D. 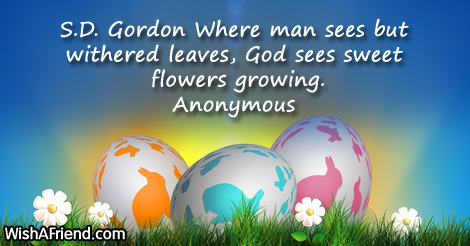 Gordon Where man sees but withered leaves, God sees sweet flowers growing.